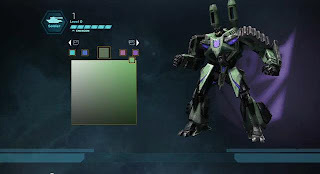 Before I review War for Cybertron I want to make it clear where I am in the game. I started the campaign in chronological order, so I’ve finished the Decepticon and I’m about halfway through the Autobot one. I feel it is important to say I haven’t finished before I offer up my thoughts. The game plays great. The ability to shift from robot to vehicle at the click of a button feels perfect. I’ve accidently switched to vehicle mode in a moment of panic, but otherwise it controls perfectly. It isn’t an easy game, the campaign is challenging while the boss fights bordering on frustrating; luckily there are tons of save points. Searching for ammo will be a constant struggle. These aren’t bad things though, makes the experience more exciting. Hearing Peter Cullen as Optimus is always great. It makes me miss Chris Latta though; it is hard to hear Starscream without him. The story is damn good. All of the interviews called it an origin story for G1, which doesn’t quite line up 100%. There is no mention of Optimus being Orion Pax, Alpha Trion, or the Autobot Matrix of Leadership. Is that crazy and nitpicky? Yeah, pretty much. It is stuff that is easy to overlook in a game this much fun. All the pre-game stuff said, create your own Transformer. This is where I read way too much into the interviews with High Moon. Instead we create our own clone. I had dreams of being able to pick a head, chest, arms, and legs; to really customize. My imagination set the bar too high unfortunately. In the game, customizing means picking a character model, your weapons, and your abilities. Depending on the faction you may have anywhere from one to three different looks to choose from. I was underwhelmed by the color pallet, but being color blind I was sure it was me. Until I talked to my friends, the colors are muddy and don’t give you a lot of options. Despite all of that, multiplayer is still a lot of fun. If you’re a Transformer fan I don’t think the game will disappoint. If you aren’t a big Transformer fan, I’d say this is probably an enjoyable rental. 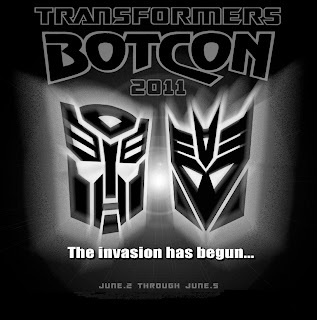 So we have a good game, how was Botcon? A few years ago I went to the GI Joe convention, so I had a pretty good idea what to expect. If you’ve been to giant conventions like Wizard World, San Diego Comic Con, or Dragon this is not the same thing. It is a much smaller affair. That doesn't mean it is bad, I just want to properly set the scene. The day did not start well for me whit the general admission line wrapped around the outside of the hotel. It wasn’t a giant line, but it’s June and we are in Orlando. If was already hot at 9am. They could have run the line down the giant air conditioned hallway, but for some reason they didn’t. The dealer’s room wasn’t huge, but had everything I figured it would. I got an awesome sketch from Matt Moylan from Lil Formers. TF Source was there and I bought a tiny version of Slag. Seriously, he almost fits in the palm of my hand. I tried to buy a shirt from Stylin Online, but they didn’t have my size. I’m going to talk about them probably later this week, so I’ll stay hushed about that experience right now. I got to see some cool looking toys that aren’t on the shelves yet. 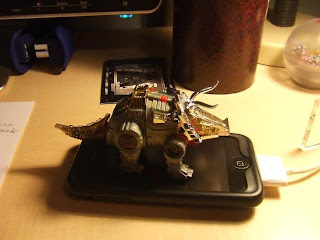 I resisted throwing money at vintage Transformers that just may be in my parent’s attic. In fact in a week or two I’m going to be braving the heat and go up there to see what I can find. But after about two and a half hours, I was done. There were panels and such going on later that night, but I didn’t really feel like hanging out. 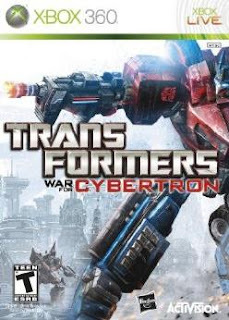 I headed home and ended up playing War for Cybertron the rest of the day. 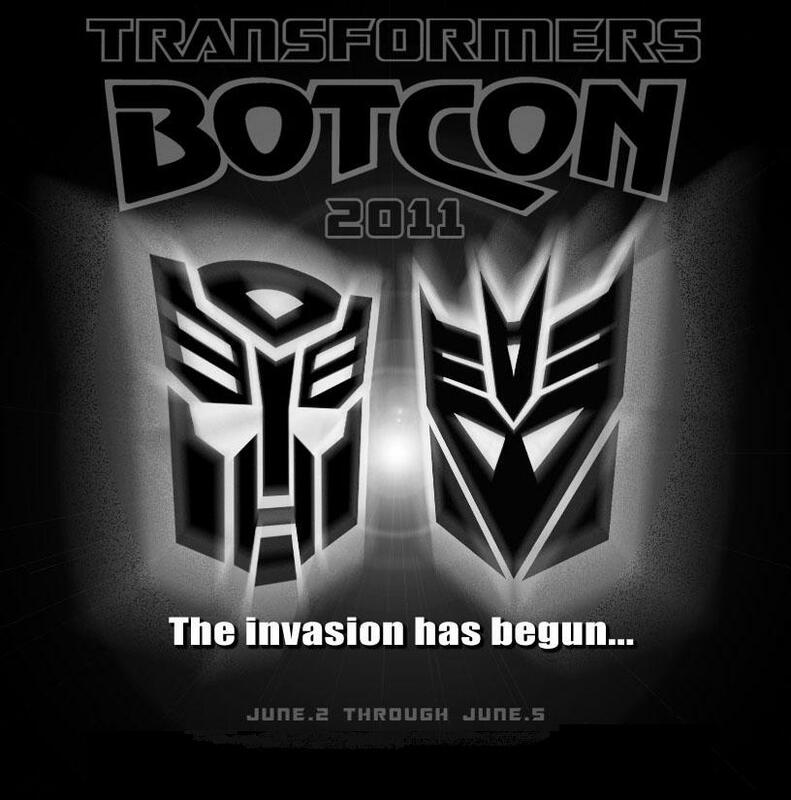 I’m glad I went to Botcon, but I don’t think I’m enough of a fan to get the most out of it. I don’t really need to sit in on panels with Hasbro. Or go to the Transformer Hall of Fame dinner. It is hard to explain, but felt out of place there. Like someone was going to quiz me and find the six Transformers in my house an inadequate number for a true fan. Despite all the strangeness, it was a great Transformer themed weekend. I even snuck in a viewing of the old animated movie.